Used in the 13th Century, Barrel helms were a necessity for men at arms. They provided the most coverage and protection for the weight. 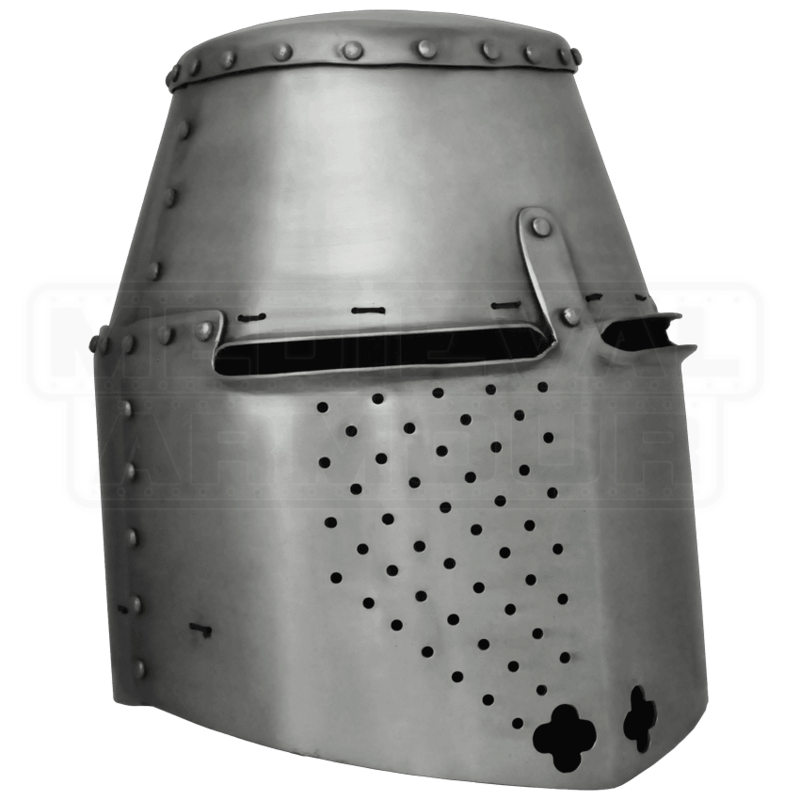 The barrel helm was typically worn over mail, and originally only had the ocularium opening (or eye slots). Ours is modeled after the later version which included holes on the lower half to improve air-flow. It also features a black interior liner and a chin strap, to ensure a comfortable and secure fit.